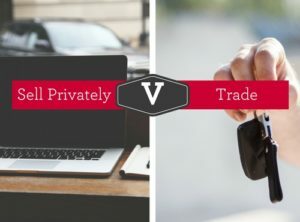 Is it better to sell privately V trade a car to a dealer? You are in the market to buy a new car. What should you do with your old car? When it comes to selling your used car, you generally have two options – sell privately V trade to a dealer. How do you make the decision to sell privately or trade? We have put together a Pros and Cons List to make the decision easier. Traditionally most people choose to trade a car to a dealer for a number of reasons. Primarily, it is convenience. Saves time. Selling online takes time. You need to prepare and detail your car. Take good quality photos and write a compelling ad. Research the used car value to ensure your asking price is correct. Be realistic with your price and compare to the same make, model, kilometres etc. Upload the ad, take and screen calls to determine a legitimate buyer, do inspections and finally negotiate and handle the paperwork necessary. No Roadworthy Certificate – there is no requirement and therefore no cost to have a roadworthy certificate done. To sell privately V trade is becoming a more popular option. This is directly related to the success a seller has by advertising a car online. Carsales being the most popular marketplace to sell a used car. Time, this begins with the online setup and writing of the ad. Make sure you have accurate information about the year, make, model, VIN number, any extras like metallic paint, alloy wheels navigation system etc. Cleaning and detailing of the car. Taking and uploading good photos to the car selling site to show your car in the best light. In-depth research on the market to understand how your car compares to others. This will help with setting the price and negotiating the sale. Be realistic about your car’s condition and the price you set. The internet makes it very easy for buyers to price check. If your price is too high your car will sit and buyers will perceive there is a problem with it. Generally, you need to allow some time to sell a used car. Factors that influence this are the make, model, age and price of your car. The popularity of your car and how many people are actually in the market for your particular car. You need to organise the roadworthy, in your time at your cost. Another possible security concern is it is a requirement for online selling that the number plate of the vehicle is clearly visible. The stress of negotiating the price and doing the selling part of the process. When maximising dollars is the main goal affecting your decision to sell privately V trade. Then the answer is an easy one. Sell privately, this will get you more dollars than trading to a dealer. However, you need to have the time and the skills to sell your car to earn those extra dollars. Many people have great success others find the experience very stressful and not worth the time it takes to achieve the extra dollars. We recommend if you want to sell your car privately then ensure you have the time, do your research on used car prices and have necessary paperwork and information required on hand. If this sounds too much trouble then trading your car is the better option. However, you still need to do some research about used car prices yourself or seek some advice from a trustworthy source. This is something we can assist with if you don’t have the time. Knowing the value of your car ensures you know you are getting the best price when you trade. In addition, this information is critical when negotiating your new car price. What might seem like a great trade can be disguised as a higher new car price? Or vis-verser. Our blog When is a good time to buy a car? End of Year! and The Car Buyers Checklist will give you more insights into selling a car and rethinking how you buy a car. We believe buying a car should be one of life’s great pleasures.